I have been wanting this book for so so long, I was watching Zoella's June favourite where she mentioned she had it and loved it, and I knew I just had to get it. I decided to order it on Amazon and getting it for £5.33 - I have to admit, I did order it used because it was a lot cheaper! I would definitely say to do this because you can get it so much cheaper. 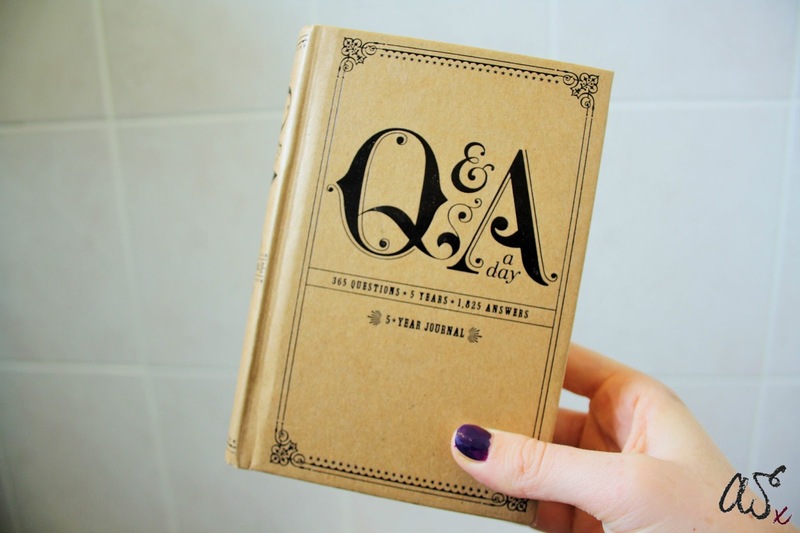 When receiving this book, I had a flick through the pages just to see what some of the questions were, and I noticed that a few lines of the book were filled out. Although I would usually be annoyed about this, I actually thought it was so lovely that I could see someone else's memories for that day. Something about it just really pulled on my heart strings. (Although this is unlikely, If it was you that sent me this book from America, I hope you and your partner had a lovely anniversary). 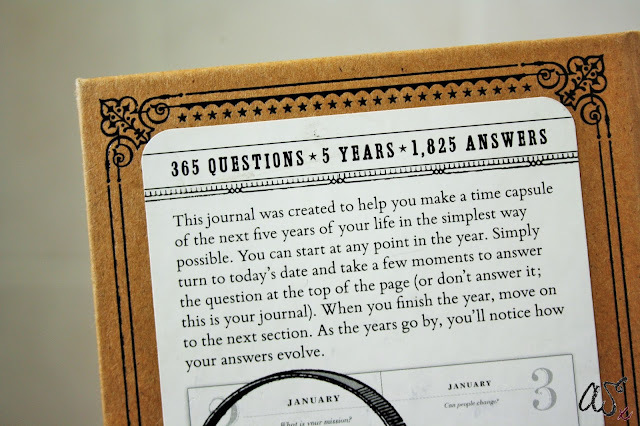 If you don't know what this book is, it is a 5 year journal. 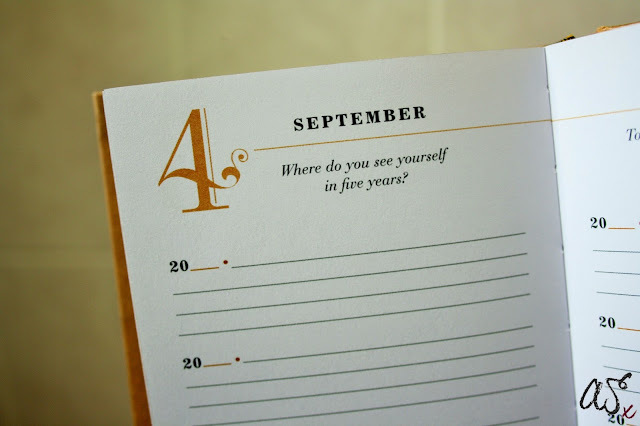 On each page is the date and the month and 5 spaces to write in, along with a question. Each date has a different question which is the reason why this book is so cool. 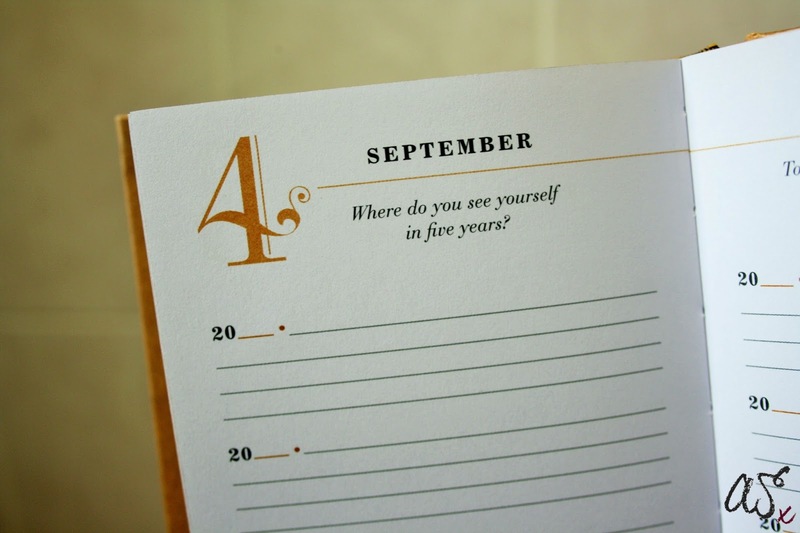 Each date a year you will answer the same question, meaning you're able to look at what your answer was the previous years. I love that this book lets you look back with so much ease. When I received this I knew I would automatically love it. I absolutely love the font on the cover of the book and know that it will look so nice on my bookshelf. It is fairly small, which means its easy to carry the book with you. I've always been intrigued by these diaries! Hope you have fun answering all the questions. I am really intrigued about this too. I would love to know what other questions are in it. Is it still available on Amazon? Omg, I've been seeing this everywhere on Youtube and I've been wanting it. It's GORGEOUS. Lucky you, Abi! What a lovely idea! I have the blue one and really need to get around to using it. I think it'll be so interesting to read in a few years time. Love this idea, I have the one line a day but I'm wondering if I would have preferred this one! I started one at the beginning of this year and did it for 2 weeks before stopping! A shame as i would have loved to go back and read my thoughts. Good Luck. I got this book as a gift a few years ago but didn't keep up with it. I definitely want to start again and be able to look back through all my answers! This book sounds like so much fun! So cute! Definitely lovely to look back on!